Sara joined McMullen, McPhee & Company in January 2013 as a staff accountant. She graduated from the University of California, Santa Cruz in December 2003 and recently obtained her CPA license. Sara is a QuickBooks ProAdvisor and an instructor for the firm's QuickBooks seminars, as well as a member of the AICPA and NSCPA. Since joining the firm, Sara has worked on a variety of individual and business tax returns, financial statement compilations and reviews, and payroll processing and reporting. Jeannie joined McMullen, McPhee & Company in January 2014 and is currently a staff accountant. She graduated from the University of Nevada Reno in August 2013 with a Bachelor of Science in Business Administration with a major in Accounting and a minor in Economics. She is currently working towards fulfilling the requirements to become a licensed CPA. Since joining the firm, Jeannie has worked on individual and business tax returns, financial statement compilations, payroll processing, and quarterly and year-end accounting projects. McKenzie joined our firm in December of 2017. She obtained a Masters Degree in Accountancy in April of 2017 from Southern Utah University and has previous experience working for CPA firms in Las Vegas, NV. McKenzie is also a graduate of Eureka High School in Eureka, NV. Since joining the firm, McKenzie has worked on individual and business tax returns, financial statement compilations, payroll processing, and quarterly and year-end accounting projects. Dana joined our firm in December of 2016. She obtained a Bachelors Degree in Business Administration with a major in Accounting in August of 2015 from the Universtiy of Nevada, Reno and has previous experience working for a CPA firm in Elko, NV. Since joining the firm, Dana has worked on individual and business tax returns, financial statement compilations, payroll processing, and quarterly and year-end accounting projects. 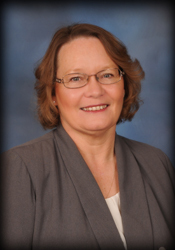 Laura began working for McMullen McPhee in December of 2007 bringing over 30 years of bookkeeping and customer related experience with her. She provides monthly and quarterly accounting and payroll services for numerous clients in a variety of business sectors. Stephanie began working at McMullen, McPhee & Company in February of 1999. She is a graduate of Great Basin College. She handles the Elko office's accounts receivable and tax processing. Other duties include word processing, data processing, and assisting the Professional Staff. Stephanie also fills in as the Receptionist when needed. Marisa began working at McMullen McPhee & Company in September of 2018. She obtained an Accounting Certificate in December of 2010 from the American River College in Sacramento, CA. Marisa has previous Bookkeeping and Payroll experience since receiving her Accounting Certificate and has worked for various companies in Sacramento, CA and Elko, NV.